WHAT'S DIFFERENT ABOUT EVER AFTER BABY PORTRAITS? 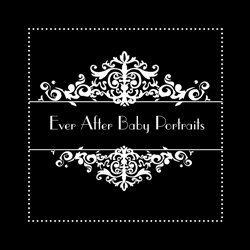 Ever After Baby Portraits is a boutique portrait photography studio specializing in creating emotive, timeless, one-of-a-kind heirloom artwork for those who cherish their family. We have both a 2.5 acre outdoor and a fully-equipped indoor studio at our location. Mindy and Joriana are a mother-daughter team who photograph portrait sessions together. WHY SHOULD I CHOOSE TO HAVE PORTRAITS WITH EVER AFTER BABY PORTRAITS? Our typical client comes to us because they want to make their house a home; they want to display art of their family — candid images of the ones they love! Your moments...forever. Commissioning wall art portraits with us means that we will capture your family and tell a story, your unique story, one deserves to be told and preserved for future generations. We truly feel that our art isn’t complete until it’s displayed, so we offer high end products. We want your artwork to last and to look just as beautiful many years from now as it does the moment you first see it. After all, it’s what you do with the images that will determine if it will be treasured Art, or a distant memory which may be forgotten, lost like tears in the rain. WHAT IS FINE ART RELATIONSHIP PHOTOGRAPHY? Custom photography is about photographing your family by giving you devoted one-on-one attention without the worry of who is next ‘in line’ or the feeling of a crowded portrait studio. Custom photographers are also known as boutique studios, offering a range of products and unparalleled service. WHAT'S ONE OF THE BEST REASONS TO HAVE MY CHILDREN PHOTOGRAPHED NOW? We feel the greatest gift you can bestow upon your children, besides raising them well, is a glimpse into the unconditional love that you have for them. Think back to when you were a child and the memories you have. Now, how many of those memories are documented? So much of our childhood is lost because of a lack of a visual record to stimulate the emotions we felt when we were kids. What child doesn't love to look at images? And as your child looks at our photography, we want it to be a reminder of how much they are loved. So we feel the number one reason that you should have family portraits displayed on your walls is because it will show your children how loved they are, not just at the moment the portraits are taken, but over and over throughout their lives -- really, every time they look at the portraits, because the memories of your love for them will be relived over and over again. But a close second is the effect this all has on your child. Did you know that a recent study revealed that photography that had been printed boosted children's self esteem by 37%?!! For more info, be sure to read the full article here. Throughout our time together with you, we want the experience to be the very best photography experience you have ever had — from start to finish! We specialize in portraiture mixed with vibrant and artistic imagery, allowing us to offer an experience and quality level that is unmatched by any portrait photography studio in our area. Joriana and I love to work with clients who treasure their family and want to celebrate those relationships every day! WHEN IS THE BEST TIME TO HAVE MATERNITY AND NEWBORN PHOTOGRAPHS? We recommend taking maternity portraits during the 32 – 36th weeks, when your curves are at their most glorious. With artistic lighting and gentle posing, we guarantee you will be thrilled to document this amazing time in your life. Newborn babies, up to 7 days old, are incredible to photograph and we love to capture their bond with you at this time. Little ones change quickly over the course of their first year, so consider having portraits again at 6 to 8 months (sitting up) and again at 1 year (standing/walking) as their true features and big personality really emerge. We invite you to join select clients who are members of The Bebe Coterie. You love the photos that you see here – but you’re worried that we couldn’t possibly get photographs like this of you because you’re not “photogenic enough” or feel like you need to make some drastic change in yourself first. We know you’re worried about the way you’ll look. Lots of people have this worry, including the people you see in our portfolio here! Joriana and I will put you at ease so you can be yourself in front of the camera. By the end of our time together, you will realize you genuinely had fun — and when you look back on that happy day, the memories will feel warm and make you smile. When you think back, you will remember that the world melted away and the only thing that mattered were the ones you love the most. At the end of a long hard day, you’ll sit down on your couch, look up at your walls and smile. The Wall Art you see will bring back the sound of laughter and remind you of how much you enjoy just being a family. WHY SHOULD I CHOOSE WALL ART? We find the really good moments to be too large to absorb and process while they’re actually happening. Wall Art lets you surround myself with those beautiful times so that, little by little, you can savor every part of it. We want to document the most magnificent and genuine version of your children so that throughout your life, you can glance up to the Wall Collections throughout your home and have your spirits lifted. CAN YOU TELL ME MORE ABOUT YOUR PROCESS FOR CREATING PORTRAITS? Your experience with Ever After Baby Portraits begins with an over-the-phone planning session. Our no-stress process makes sure you not only enjoy yourself every step of the way, but get the photos you’ve ALWAYS wanted. First, we’ll ask you to walk through your home and look for any space you’d like to decorate with artwork from our session together. So that we can create designs for you, we will ask you to take iPhone pictures of any considered spaces and text or email them to us. Once we receive your pictures, we will create custom wall concepts. Wall display ideas will be digitally infused on the pictures of your actual walls so you can get a visual of exactly what it would look like hanging in your home! Our Portrait Sessions focus on Heirloom Wall Art and include a complimentary online design session, where you’ll see what different prints and sizes of YOUR images look like on YOUR walls. (It’s the easiest way to “try before you buy” and make sure you’ll LOVE the outcome! Once you narrow down the choices we provide to the concept you love the best, we’ll be in the best position to discuss what everyone is going to wear. We will even send visual clothing suggestions to take the stress out of making sure that everyone looks effortlessly beautiful, in clothing that compliments each family member. WHY DO YOU ASK SO MANY QUESTIONS DURING YOUR CONSULT? In order to create something that is worthy to be displayed on the walls of your home, we want to know you and what’s important to you. So after you book your session, we will style your portrait session together during a Design Session in person or by phone. During that time, we will discuss who is being photographed in each session, how many rooms you want to create artwork for, as well as your decorating and personal clothing style. We will offer personal assistance with what to wear and complementary color selections, and help guide you on what you want to do with the images. Our process is designed to customize the Wall Art to your taste. CAN YOU TELL ME MORE ABOUT THE PORTRAIT SESSION? At the time of your Portrait Session, you will be given individual attention for typically an hour to capture a wide range of expressions. We go out of our way to make sure that everyone is comfortable and relaxed. Typical studio sessions can be overwhelming and intimidating for some, but our sessions let your family be who they are with no pressure. This experience results in images that are candid, timeless and relaxed, with a session that is individually tailored to each and every client. CAN YOU TELL ME MORE ABOUT YOUR STUDIO? Our indoor and outdoor studio is located at 46506 Oak Lane, Sterling, VA, 20165. Our Indoor Studio is fully equipped. Our Outdoor Studio has several features including a stream, large and small pond, bridge, vintage truck, barn, fence, wildflower meadow, and a variety of couches we can pull out that will be styled to work with your decor. New in 2015 is our pier, perfect for family images over the water. WOULD YOU SHARE YOUR FAVORITE THING ABOUT BEING A PHOTOGRAPHER? The clients we have the pleasure to work with are intelligent, accomplished people that have big hearts. Family is the most important thing to them! They commission Joriana and I to create art of their family because they value what we value: Love, family and relationships. We feel so fortunate to work with such wonderful people! DO I HAVE TO PAY IN ADVANCE TO SECURE MY SESSION? A session fee must be paid in advance to secure your session date and time. A Family Portrait Session is generally no more than 1 hour, however we block off 1.5 hours on our calendar. Newborn sessions are generally reserved for two hours. While we don't photograph the whole time, time is allowed so as not to feel rushed. We ask that you be sure to arrive on time for your Portrait Session. All sessions begin at the scheduled time, so please arrive on time. We respect the next client’s time so we are are unable to accommodate late arrivals. As a professional photographer, and in order to give you the best, most relaxed session possible, Ever After Portraits limits the number of sessions that we photograph. That way, our attention is totally focused on you and your experience. Because reserving your date requires Ever After Portraits to turn away other business, we reserve the right to charge a $100 fee to change your date. WHAT IF A FAMILY MEMBER IS SICK THE DAY OF THE SESSION? If a family member is not feeling well (even the slightest bit under the weather), please reschedule. We want to keep the studio as germ free as possible. In case of inclement weather, we will contact you and reschedule the session. CAN YOU TELL ME MORE ABOUT THE ORDERING SESSION? An Ordering Session typically takes place in our studio 2 to 3 weeks after your Portrait Session. One of our specialties is offering custom Wall Art displays in either traditional or more contemporary finishes. Our special design software will enable you to visualize your images in a display so you can know exactly how everything will look before you purchase at your Ordering Session. This takes the guesswork out of having to figure out where to hang your images or what to hang them with. While we do not require any minimum print order, what we offer a luxury service and it’s not in everyone’s budget. An Ordering Session typically takes place in our studio two to three weeks after your Portrait Session. When your Portrait Session date is chosen, we will also choose your Ordering Session date. Since we want all decision-makers present at the Ordering Session, a date is works for you will be chosen. You will be able to place your product order then. That’s because we don’t just photograph your session one day and place your order the next day. We photograph your session; then typically withing 15 days, you have an ordering session, where you place your order. A Family Portrait Session requires a $200 Reservation Fee. Payment of this fee reserves the date and time of your Portrait Session. We do! With 25% down, a no-interest layaway payment plan option is available. Your products will be sent to print when final payment is received.